A family day out at Wrangle in Boston (Sunday 2nd July) featuring Stunt Riders Live Tour. It will soon be the Lancaster Bomber Night, probably our biggest event at the Lincolnshire Bike Nights. The last few years we've seen a great turn out and seeing/hearing the plane do a taxi run is always a special moment. We highly recommend you drop by and see it for yourself. This is a joint bike night, so all bikes and bikers are welcome. It is well worth having a look around the museum and at the aeroplane hanger. This one is not to be missed! The event is held at the Lincolnshire Aviation Heritage Centre. As always, the nights start from 6pm onwards and all bikes and riders are welcome at both events. Enjoy the ride out. All the action from the Isle of Man TT - Catch up on ITV4... Watch here! 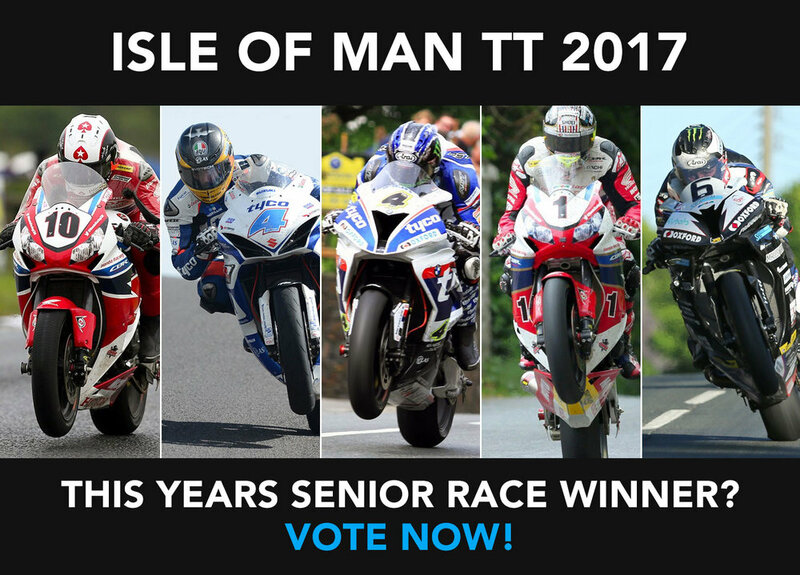 2017 Isle of Man - starts today! Well its time, the 2017 Isle of Man TT starts today. Here's the full schedule for the event. Check out some of the thrilling action from the previous years, in the video below.